I will look specifically at how you sit at a desk, use your mobile, and how you stand, and teach you strategies to combat poor postural habits that are contributing to your unease. Cost £160 for a course of 4 weekly half hour sessions. Email me pennyoconnor1@gmail.com to book your place. 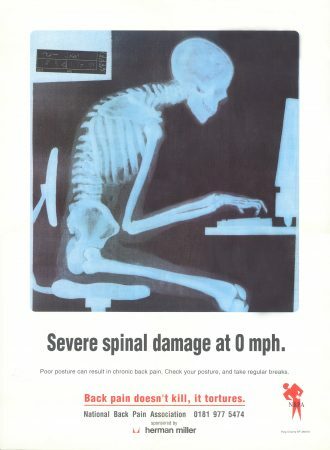 Poor posture when you’re at work, typing on a laptop, or even when you’re bending your neck to look at your mobile phone puts stress on your spine, and contributes to problems with lower back pain, neck pain, headaches and sore shoulders. BackCare UK – as the National Back Pain Association is now called – has always endorsed Alexander Technique as a means to improve posture and relieve prevent back pain.